Google loves blogs – To keep your site relevant, Google wants to see that you are constantly adding and updating content. You can’t constantly update your website content, so you add new content through a blog instead. Visitors want content – A blog gives you the opportunity to share more information with your audience. It’s a great tool to show your visitors that you’re an expert in your field and that you are who they should hire. Blogs drive results – The more you blog, the faster you will see results in your business. See what we mean? Blogs are important for business. 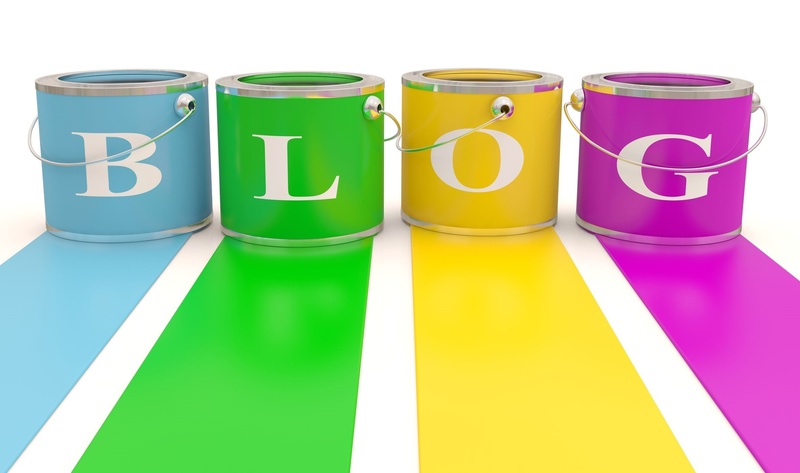 So, if you’ve been guilty of thinking that your painting business doesn’t need a blog, think again, because it does! Let’s dig into a few specifics. When people search for information in Google, it’s an opportunity for your blog to be found. As mentioned above and on our Online Marketing Guide for Painting Contractors, sites that are relevant and constantly updated have a better chance at ranking high organically. It’s also important to do your research – if you have a good idea of the keywords that people are searching for and use them in your content, you have a better chance at being found. For instance, say someone is searching the term “professional painter in Philadelphia, pa” (insert your area in place of Philadelphia, PA). If you use that exact statement - called a long-tail keyword - throughout your blog content, your business might just show up as a result of someone’s search. Just be sure to use that keyword organically – don’t force it, because both readers and Google will be able to tell. It’s also a good idea to pay attention to the type of keywords people are searching for – depending on how you’ve organized your business, you’ll be able to tell what stage of the buying process they’re in. Maybe they’re early (awareness stage) and just looking for information, or maybe they’re towards the end (decision stage) and ready to hire. Pay attention to the keywords used in each stage and then create content for that specific stage. For instance, let’s go back to our “professional painter in Philadelphia, pa” keyword. Let’s say that keyword fits into the consideration stage for your business. Be sure to create content that you know people in the consideration stage will be interested in reading. If you want to learn more about the buyer’s journey, visit our Online Marketing Guide for Painting Contractors. Some people think you should have a blog OR social media, but truly, the two go hand-in-hand. You can write a bunch of content for your blog, but if you don’t promote that content, it’s going to take a long time to see results. The more you promote your content, the more your posts are read. And where better to promote your content than on social media? The people who follow you are your audience – they want to hear what you have to say. That’s why you need to write super informative, original posts to help your audience out as much as possible. The more they trust you, the more they’ll want to work with you. Plus, frequently updating your blog and website shows your audience that you’re a thriving business. As we mentioned above, a blog is a great way to drive traffic to your website. And what does more traffic mean? More customers! Your odds of converting a lead to a customer definitely increase when you have a bigger audience. And more customers mean more money. In fact, SocialMedia Today recently reported that “the average company who blogs receive 55% more website visitors” than those who don’t blog. And get this – 70% of consumers learn about a company through articles rather than ads. See? A blog is important! Okay, so now you realize that you want to start a blog for your painting business. How often do you actually need to blog to see results? We recommend trying to get 2-4 posts out per month in the beginning. Just always keep in mind that the more you post, the better the results you’ll see. Always be sure to mix up your content – recent projects, tips and tricks, partners you work with, etc. - and keep the buyers journey in mind. The proof is there – blogging works. It might take a lot of effort, but it sure will pay off. If you want to learn more about blogging and other online marketing tactics for your painting company, be sure to check out our Online Marketing Guide for Painting Contractors.